Primate conservation is a priority for biodiversity conservation in Laos as demonstrated by the national gibbon conservation action plan, but there is a lack of Lao primate conservationists. FFI’s entry point into Laos has been through gibbon conservation as an expansion of its primate programmes in China and Vietnam. 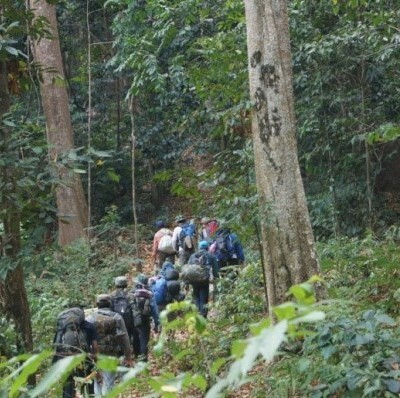 The goal of the internship is to support the intern to conduct research at Nam Kan NPA, which supports conservation of the gibbon at that location, and to enable her to gain professional field experience of wildlife conservation by supporting activities in Phou Hin Poun NPA through FFI’s partnership with IUCN.